The Cthulhuphant: Great animal hybrid, or the greatest animal hybrid? 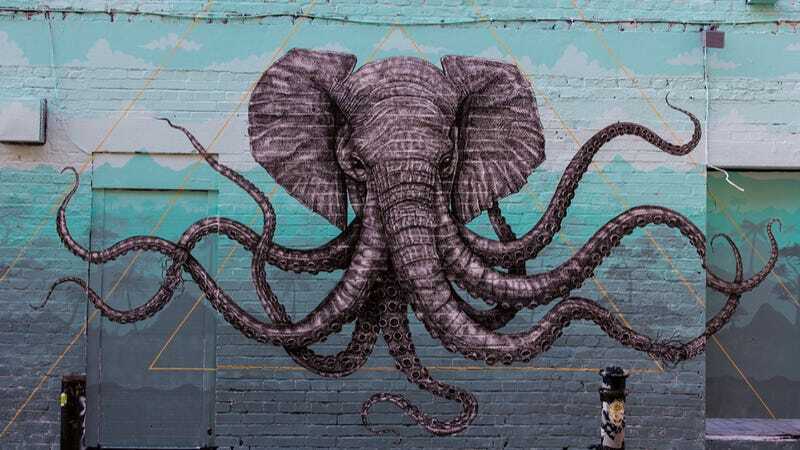 If I could choose any animal to grace my family's coat of arms, it would be this trunktacled elephant/octopus hybrid (which we will refer to as the cthulhuphant), created by Puerto Rican artist Alexis Diaz. For more info, visit Street Art News. For more photographs and other examples of Diaz's work, check out his website.